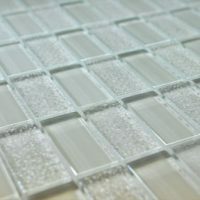 Give your kitchen, bathroom, laundry or feature wall a stunning makeover with the Glass Mosaica Civili Celtic mosaic tile. 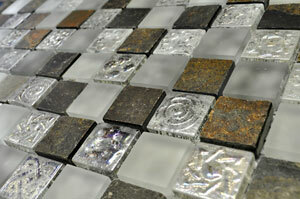 This mosaic consists of frosted glass, stone and stamped Celtic glass pieces to add style to any space it is added to. 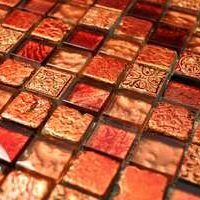 The Glass Mosaica Civili Celtic tile is available in a standard size of 300x300mm and is sold per piece. It is an indoor wall tile which is ideal for use in feature walls and in creating wall borders. This mosaic features an artistic design that offers a distinctive appearance and it complements modern and classic décor both. It includes an eclectic mix of silver, gold and glass blocks that offers a decorative visual effect. 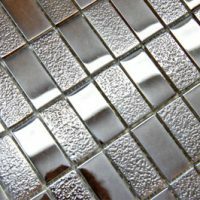 The Glass Mosaica Civili Celtic tile exhibits all the qualities of a superior grade product, but is surprisingly affordable. It is manufactured to the best standards and is built to last. Trust that this tile will not lose its great looks with time. For stunning decorative mosaics in Perth, look no further than the Glass Mosaica Civili Celtic tile at Ross’s Discount Home Centre. Buy this mosaic today at an incredible bargain from our online store and avail our free delivery across Perth Metro!